My favorite time of the year is Christmas. Here are some fun photos taken around the office I wanted to post. I want to wish my friends and fellow bloggers a Merry Christmas and a Joyful New Year. I will be here on the blog all week ready to blog with anyone who posts. Lets talk about what you have planned with family or friends. Look forward to seeing you here. 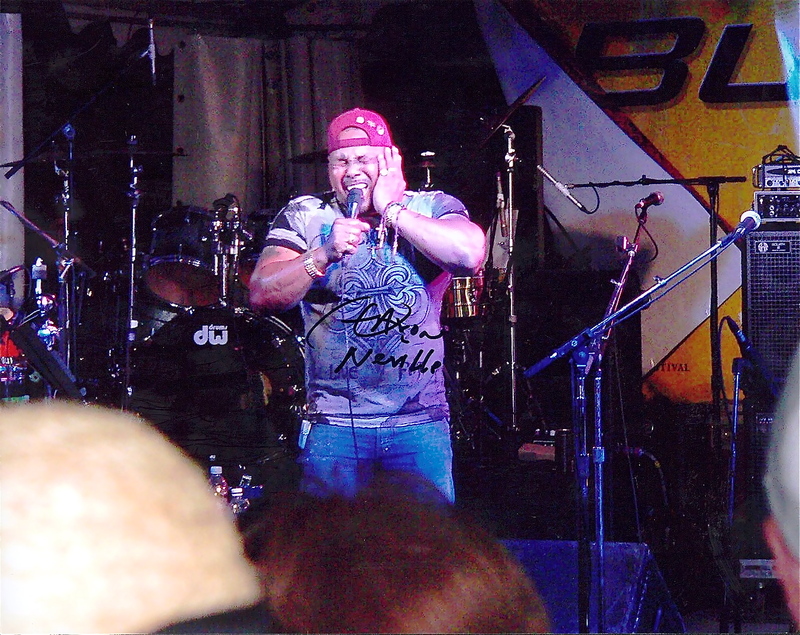 Charles and Aaron Neville are my new best friends! Thanks to my friend, Matt, and the tour manager of the Neville Brothers, I received several autographed photos of myself with Charles Neville the other day. I received Aaron’s yesterday. I had sent the four brothers autographed photos of me with each of them and had them framed. I also sent some extra for them to sign and send back. 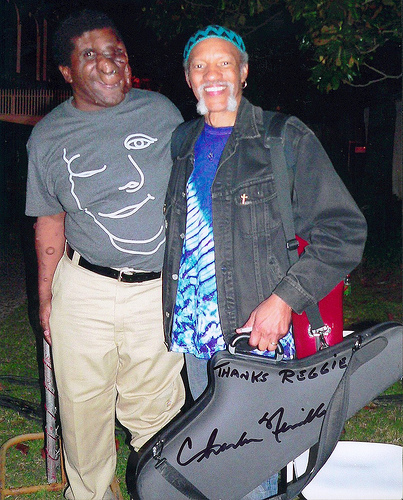 Charles Neville signed two extra copies and took time to express mail them back. 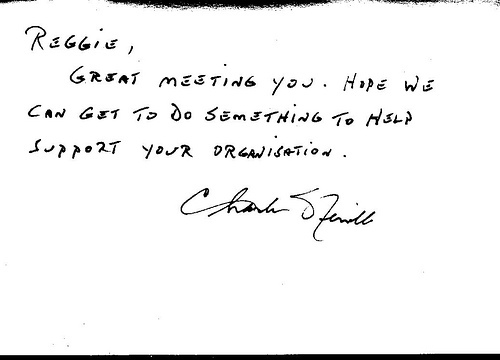 It means a lot to me that someone as famous as Charles would take the time to sign photos, write a thank you note and then send it to me from a UPS station in Massachusetts. In fact, he even called to make sure he had the right address! Now, how nice is that?!! Charles, Aaron and the Neville Brothers are the kind of musicians and role models that I am proud to call my friends. Thank you Charles and Aaron for being so kind and caring. Long Live the Neville Brothers!!! I spoke with Mari Garcia administrator of Gillian Anderson’s Official Web Site, I was asked sometime ago to help out and to contribute a doodle for NF, Inc’s Second National Doodle Day Auction. 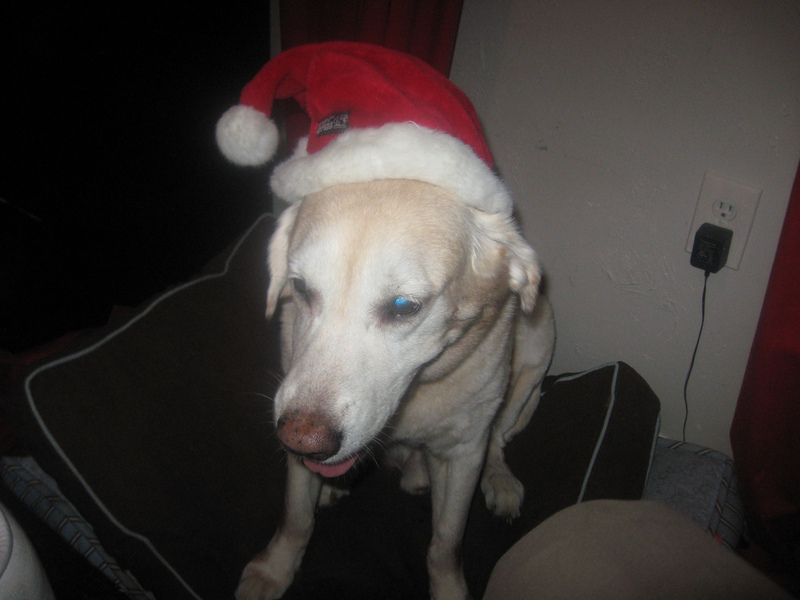 I was happy to post a blog and do what I can to be of help. Please check out the links and see your favorite Actors and actress and others who have support the fight against NF. The auction will start on May 8 on eBay. So far there are two pages and more doodles will be added as they come in. 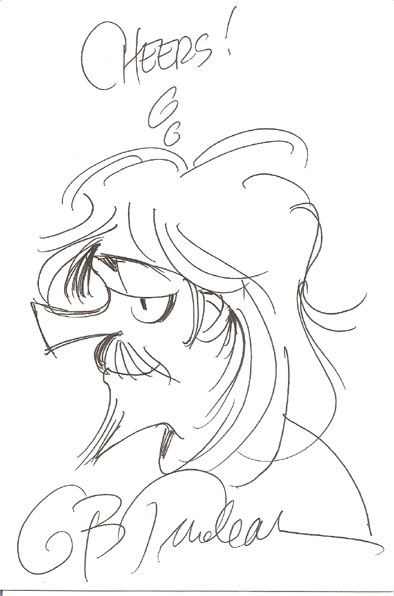 Be sure and blog your favorite doodle. NF, Inc. is raising money for neurofibromatosis through their annual National Doodle Day! 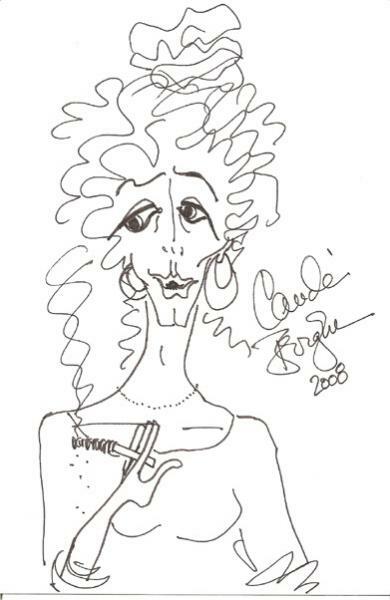 As part of NF Awareness month, celebrity doodles will be available for auction on eBay. These doodles have a very important aim: the funds they raise will benefit NF, Inc., an organization dedicated to providing support to individuals and families affected by neurofibromatosis (NF). Neurofibromatosis is a genetic disorder that affects one in every 2,500 births. NF is more common than Cystic Fibrosis, Muscular Dystrophy and Huntington’s Disease combined. 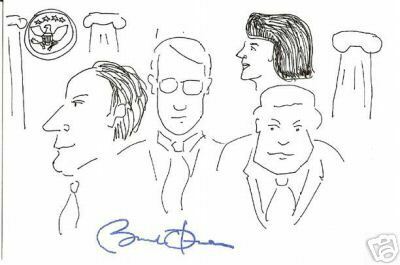 Funds raised from the Doodle Day auction will go to support education, advocacy, coalitions, and research for treatments and a cure. To learn more about NF, please visit http://www.nfinc.org. 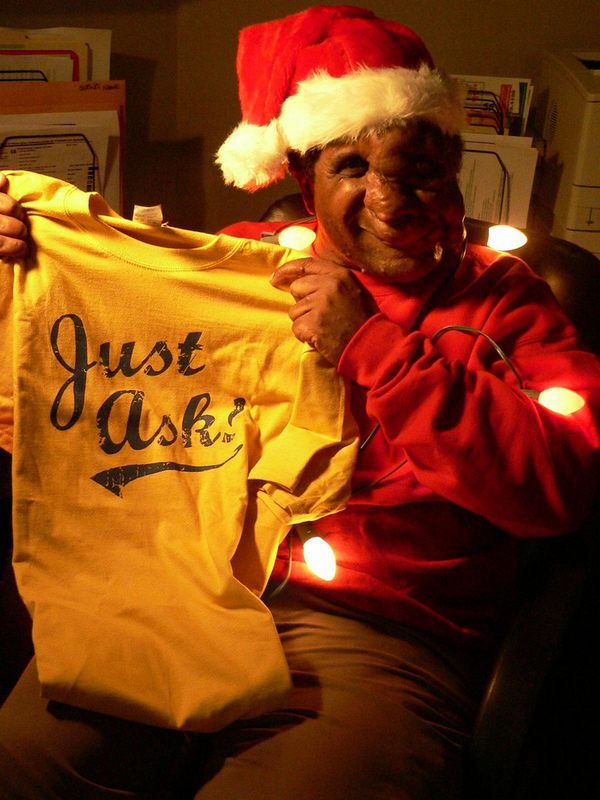 Guess who is wearing one of my JUST ASK! t-shirts? You probably already know from the photo you see here. 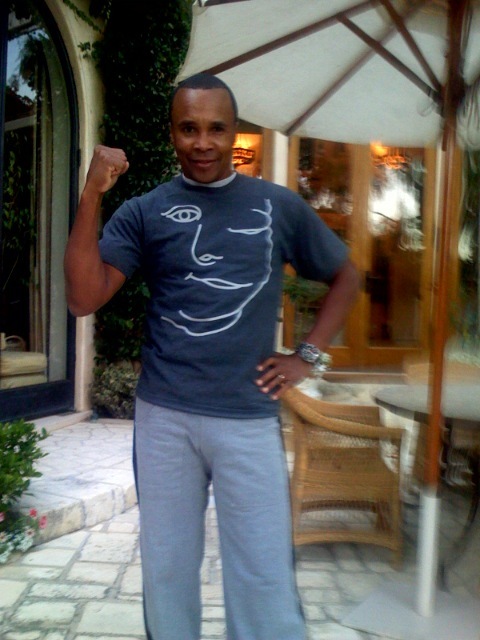 Yes my friend Sugar Ray Leonard. 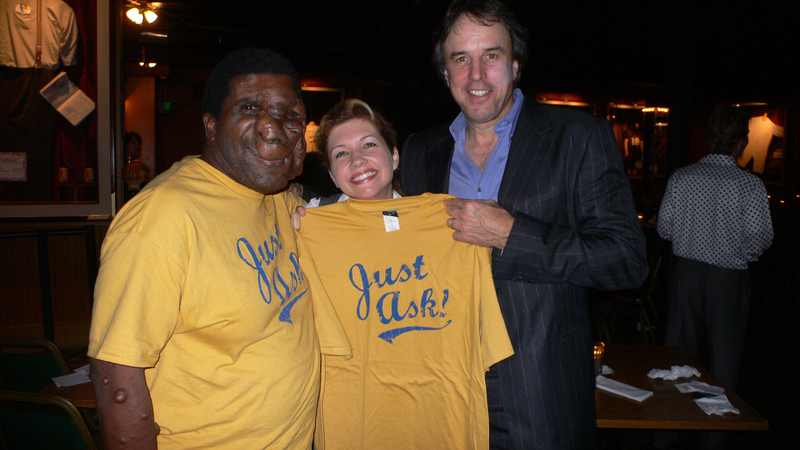 I was so happy when Ray ordered one of my t-shirts. 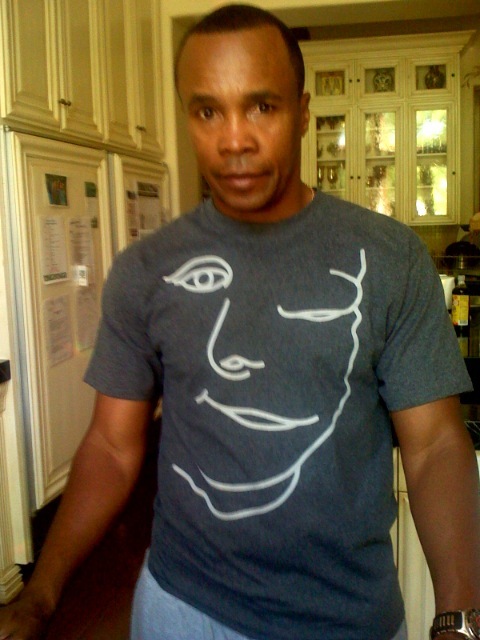 He told me he would be proud to send me a picture of himself wearing my shirt. He kept his word and I have the pictures to prove it. I have known Ray for a long time and he is always supporting my in everything I have done. Imagine someone as famous as him supporting my efforts in NF awareness. He’ll always be the “Champ” in my eyes!